Dashiell Hammett is best known as a writer and as a detective, but he was also proud of the time in spent as a soldier in the United States Army. Despite his Marxist beliefs, Hammett was a patriot who served his country proudly in both World Wars. Samuel D. Hammett was a young man when he enlisted in 1918. Hoping to see some action in Europe, he was instead assigned to Camp Mead in his home state of Maryland, given the job of ambulance driver. This soon resulted in an overturned ambulance, patients strewn all over the roadway, and Hammett vowing to never again drive a motor vehicle. Like hundreds of thousands of others, Hammett fell victim to the Spanish Influenza epidemic. His condition worsened into tuberculosis, which was often a death sentence. He was given a medical discharge, having reached the rank of sergeant. A relapse of his TB landed him in a hospital near Tacoma, Washington, where he met his future wife, nurse Josephine Dolan. After his recovery, such as it was, Hammett and Jose married and settled in San Francisco to start a family. His lung problems would plague him for years, but he eventually improved. As a veteran of two World Wars, Hammett was buried in Arlington National Cemetary. This was over the protests of J. Edgar Hoover, who insisted that a leftist such as Hammett was not entitled to such an honor. By 1943, with Second World War raging, Hammett was a very different man. He was separated from his wife and living the life of a celebrity. He had written five successful novels, and his characters were popular in movies and on the radio as well. He lived with playwright Lillian Hellman and hob-nobbed with the New York literary crowd. Hammett stunned Hellman and their friends when he suddenly enlisted in the Army. Equally surprising is the fact that the Army accepted a 48 year old man who was gaunt as a cadaver, had bad teeth and TB-scarred lungs. Hammett chose to enlist as a lowly private, even though his celebrity status could have easily gotten him an officer’s commission. 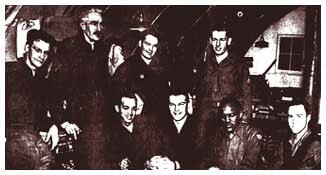 Serving with men half his age (or younger), “Pop” Hammett shipped out to the frozen wastes of the Aleutian Islands, which had been secured from the Japanese forces only a short time before. Most soldiers stationed there considered the Aleutians an icy version of hell, but Hammett thrived there. He often said – perhaps seriously, perhaps not – that he planned to retire there when the war was over. Corporal (and later Sergeant) Hammett was given a more-or-less free hand running The Adakian, the camp newspaper. He hand-picked his staff, and chose to include two African American soldiers, thereby creating one of the very first racially mixed units in the U.S. military. During this time, Hammett also co-wrote a short book with fellow soldier Robert Colodny entitled The Battle of the Aleutians: A Graphic History, 1942-1943. 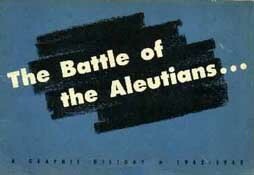 He also edited (and financed) a collection of military-themed cartoons that had appeared in the camp newspaper. 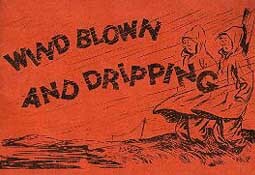 It was called Wind Blown and Dripping, a reference to the miserable local weather. Hammett created a sizable body of work during his enlistment, most of which does not survive. It included training manuals and films that he helped write, a weekly radio program and a publication in Alaska called Army Up North. As he genuinely enjoyed the Army in general and the Aleutians in particular, Hammett seriously considered re-enlisting, but in the end chose to leave the military in 1945.